Mortgage Market News How will Brexit affect the housing market? While the long term impacts of staying in or leaving the EU are very much up for debate, in the short term one thing is undeniable, and that is market uncertainty. It is hard to deny that short term uncertainty will negatively impact the housing market as political and economic upheaval always does. The British economy slackened over the first quarter and the Bank of England predicted that this trend will continue after the referendum1. The end of May saw house prices remain at just 0.2 percent, at the same time the annual rate of growth slowed to 4.7 percent1. This affect has been more prevalent on London’s prime property market which saw house price growth dwindle to 0.1 percent, the lowest since October 20092. The general consensus on the reason for this is that investors are waiting for the dust to settle before making their moves. Mark Carney, a staunch pro- EU supporter commented that leaving the EU “could possibly include a technical recession”, and rising mortgage costs for homeowners even if the banks cut interest rates to improve demand3. 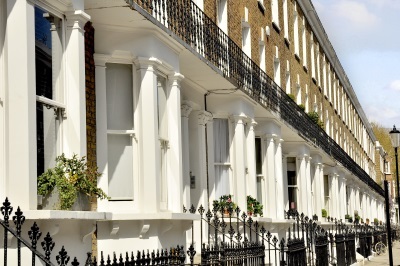 If, as Mark Carney predicts, Britain experiences a recession landlords may find making mortgage repayments difficult as economic conditions deteriorate, and be forced to leave the market; buyers would lose confidence and banks would be less inclined to lend. The International Monetary Fund also asserted this view saying that Brexit could see a “sudden stop of investment inflows into key sectors such as commercial real estate and finance”. Rating agency Moody’s said fewer EU nationals buying in London would result in lower prices. Houses above a million would be affected most as 49 percent of properties in this band are purchased by foreign nationals, who may be put off by market instability. Conversely, others have argued that a falling pound would mean more investment in London property for non-EU foreign nationals, thus increasing demand5. George Osborne has also cautioned that house prices could fall by 10 to 18 percent by 2018 if the Brexit campaign is successful. As has the IMF who said that it could trigger “sharp drops in equity and house prices, increased borrowing costs for households and businesses”. The referendum also gives food for thought to first time buyers. Some market commentators have asserted that Brexit would benefit them if demand falls and prices drop in the face of less immigration and investment from abroad. Chris Grayling, leader of the House of Commons, echoed this sentiment commenting that leaving the EU would release pressure on the housing market by curbing immigration7. Boris Johnson reiterated this saying it would have a “beneficial effect” on housing as a result of reduced immigration8. However, as a counter to this some have argued that restrictions on immigration could create a skills shortage in the construction industry restricting the supply of houses, with 12 percent of construction workers coming from the EU, thus decreasing the housing supply9. If you are from the UK or abroad and are thinking of investing the property market, be it Buy to Let or a residential property, it’s important to weigh up your options carefully. Seeking specialist advice could help you make the most of your investment. There are few situations that our mortgage advisers are yet to come across. Call us on 020 7519 4985 to talk to one of our specialist mortgage advisers or send us an email.